The new, sleek and modern VBell Doorbell Video Intercom allows you to see and communicate with visitors at your door even when you’re not at home. This Smart Home intercom includes a high definition camera and two-way communication sound system, by using Voice over IP (VoIP) video-audio transfer technology. 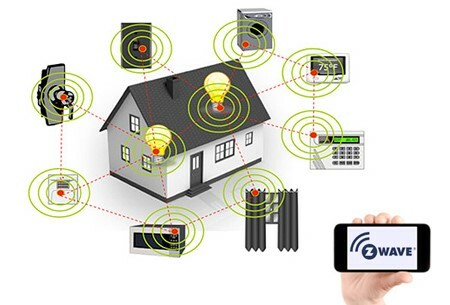 You can be access the camera through your smart phone or tablet from anywhere around the world you have internet connection, and provides a simple way to protect and secure your home. The VBell™ Doorbell Video Intercom can be placed anywhere; in your home, office or workshop. The intercom’s camera can be accessed at the touch of a button using the VBell™ app on your smart device. You can also view a list of missed calls with timestamps and snapshots of the caller. No additional fees are required for storage. The VBell™ Video VoIP Intercom can be integrated into your home automation system as standard VoIP device. This smart device is a must have accessory for any homeowner. supports the VoIP SIP protocol allowing it to establish real time, two-way communication between the intercom and one of up to six registered smartphones, tablets or wall monitors. Calls can be received from any location (using the original VBell™ App), provided that the user has internet access, which means you can conveniently monitor your home from anywhere around the world. Alternatively you can connect the VBell™ Video VoIP Intercom to your office IP-PBX (via your LAN router) which allows you to pick up calls from the intercom using your in-office phone system.